Looking back on my cooking proclivities, I realize that many of my best recipes were created in that tender moment when you curse the heavens at your lack of preparation and guests on the way. What the hell are you gonna make? A couple of weeks ago, our good buddy Chris came over to pre-game before he and Dennis went to the Yankee game. I don’t know what it is, but I feel strange having people in my house without at least a nibble or a treat to offer them. Tough stuff when there is pretty much nothing awesome in the fridge. This was born of a surplus of cream cheese (after buying double by accident for a batch of cupcakes) and a pack of feta cheese. I decided to whip the two together with garlic and herbs and serve the whole mess on Triscuits. Majesty. Similar to my fake-me-out Boursin recipe, this dip is a lot more impressive in taste than it’s humble ingredients. 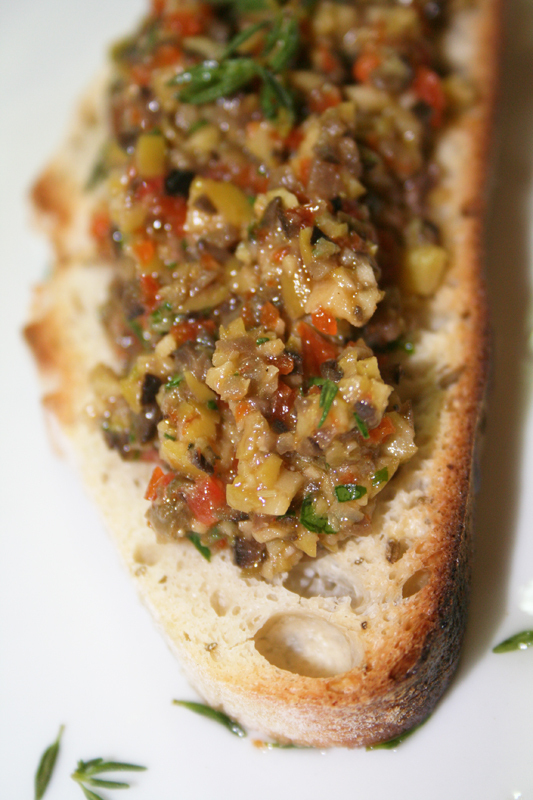 Lemon zest and garlic and depth of flavor and brightness, and olive oil smooths everything into a spreadable delight. 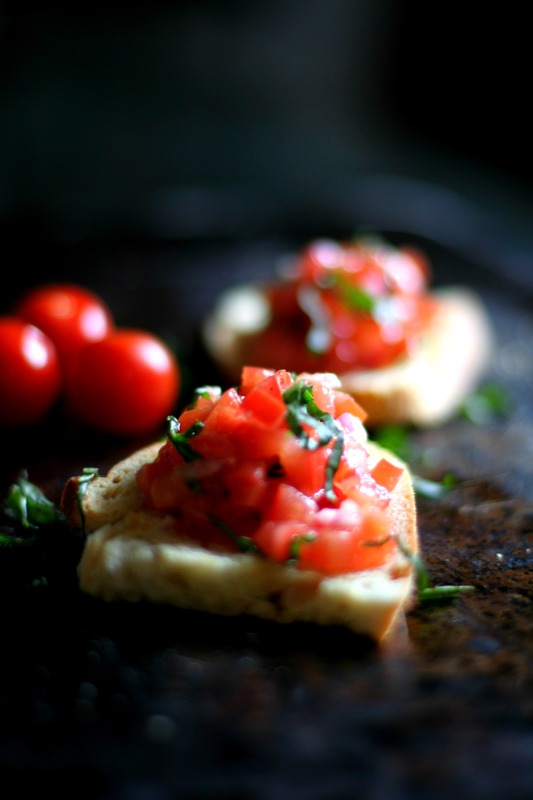 Serve this with crackers, toast points or crudité. Or slice grilled chicken breasts in half and slather a bit in the middle for a yummy dinner. Whatever you do, don’t fuss too much because I certainly didn’t when I put it together the first time. Put garlic, pepper, herbs, zest and olive oil in the food processor and blend until finely chopped. Add feta and blend until crumbled. Add cream cheese and blend until smooth. Transfer to a bowl and chill in the fridge. Serve. This recipe was born of a 100% “oh, crap” moment – I was cooking dinner for myself when I found out that a few good friends were on the way over to share a drink. My Brazilian/Italian roots are firmly planted in perennial hospitality – if people come over and you’re eating, you absolutely share what you’ve got, small though it may be. There’s a Brazilian song that says that the more people that come over, the more water you add to your beans to thin them out. All are welcome. My dinner for one was barely enough to share with 4 hungry ladies, so I found myself rummaging through the freezer and pantry for items to whip into something special. In a moment of divine inspiration, I threw leftover lima beans, parsley, and lemon into the food processor and blitzed away. The result, similar to what Cesar Cardini must have felt when he turned lowly anchovies, garlic, eggs and oil into caesar dressing, was majesty. 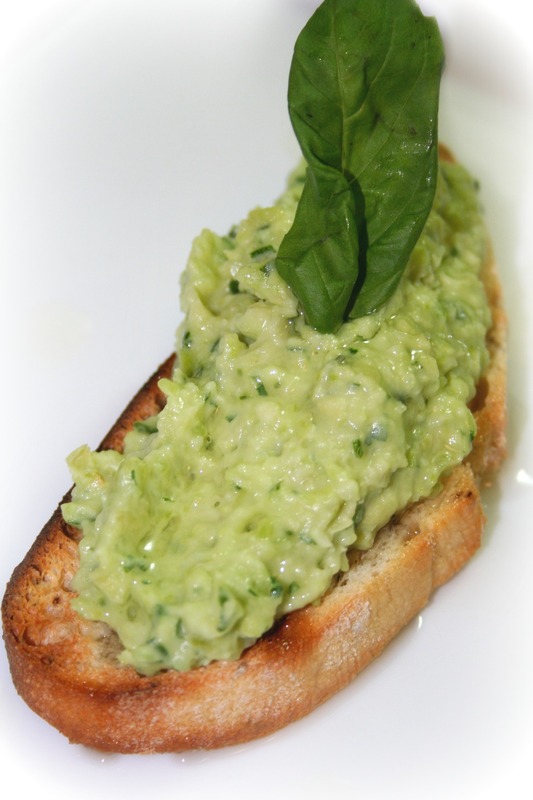 This recipe is similar to a popular crostini topping that I used to eat all the time in Orvieto – there it was made from fava beans (or broad beans) and drizzled with fruity, golden olive oil. The lima beans are great because they’re easy to pull out of the freezer in a pinch, and cheaper than fava beans. That being said, if you see fresh fava beans at the market, grab them and try them as a replacement for the limas – they are so lovely. 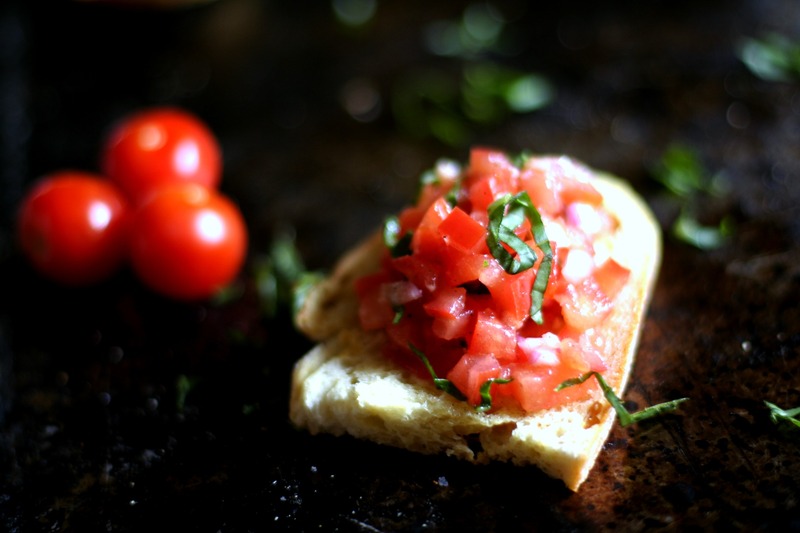 I like this bruschetta plain, but for a bit of decadence, you can crumble a bit of ricotta salata over the top for some added salty goodness. Lowly limas never had it so good. This recipe is hard to make smooth without a food processor, but you can certainly do it with a mortar and pestle (or a mocajete). Just make sure to chop your herbs first, and then stage the ingredients in the same order as listed for the food processor in the instructions below. Put the lima beans and water in a pot and cook until tender, about 6-7 minutes. Drain and rinse with water to cool. To your food processor, add your garlic, basil, parsley, salt and red pepper. Pulse until chopped finely. Add the vinegar, lemon and olive oil. Pulse until smooth. Remove to a tupperware and chill. 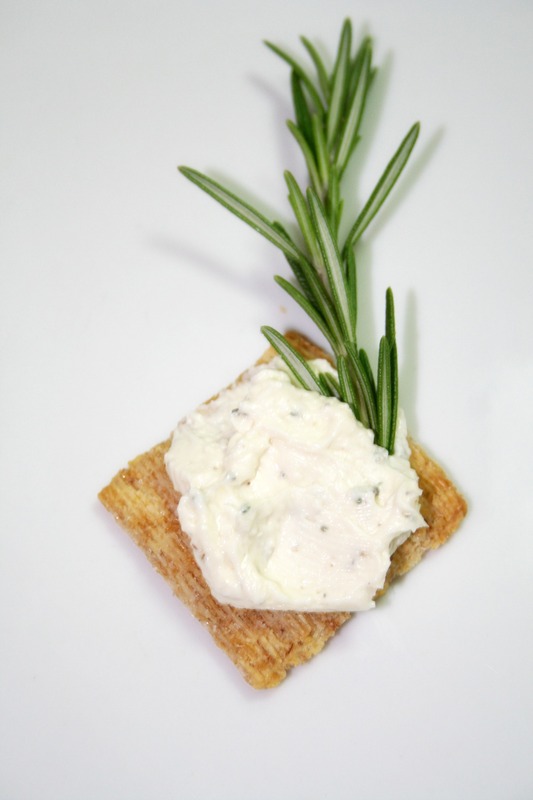 Serve spread on grilled bread or crackers and drizzled with good olive oil.